You’ve done all you can. Breath. After weeks (or months?) of planning and preparing, doing market research, talking to other entrepreneurs, the time has come to turn your business idea into something more一into a web app. It’s finally the time to make a product out of it. If you did all your planning right, then you should be able to answer our first question: how are you going to make it all happen? What is going to be your first step? Well, in order to make a web app, you need someone to turn the idea into code and “make it pretty”, so the users will like what they see. From where we’re standing, it seems like you have two options: you can do this task yourself or hire someone to do it. We have to be honestーif you don’t have any programming experience, it might not be a good idea to start learning languages right now. You need reliable, quality results as soon as tomorrow so you can put the product on the market. Our suggestion: find a web developer to do it. In fact, find both developer and designer to build the app. Whether you decide to hire co-workers, reach out to freelancers or start a collaboration with a development company, you have to know that, in order to have a high-quality product, you need a team of developers and designers. Our second question is: Do you know why you need them both? Why shouldn’t you just cut the costs and hire only a web developer? Because web developers and designers, unfortunate or not, are the two sides of the same coin. They are not the same nor they are the opposite. They have the same goal and different ways of achieving it. A web designer codes just like a web developer does, while a web developer has some saying in the design. If you are a bit confused, it’s OK, let’s make it simple: you need both of them because they complement each other and go hand in hand. Another reason why you need them is that you need excellenceーtwo different skill sets that can make a product perfect. An expertise of a developer can only come to life if a designer has done a good job. That all being said, there are several major differences between developers and designers. They may not seem so obvious now, but just wait, we are going to explain them all. Bear in mind that the primary focus of this article is to explain the distinction between developers and designers by emphasizing their knowledge and skill set. We are not going to focus on their hourly rates or incomes. Let’s make it all clear in the beginning: a web developer is a person who has the skill set to build a web app from the ground up. Web developers’ role is to write a good-quality (and, preferably, an easy-to-read) code and create a functional, bug-free app. At this point, you might be asking yourself how does he/she know what to build? Do you just approach the developer and say there is an app that you would like him/her to create and a developer gets to business? Well, it’s not that simple. In fact, this is the part where a web designer steps in. Before the coding process can begin, a web designer should create a mockup design of the app. Once the mockup design has your approval, a designer can hand it over to a developer. Then, web developer and designer work together to make sure that a developer understands all the aspects of the following design. A web developer should not question the design itself but should ask questions if he/she feels there is anything left unsaid. We are going to mention this part later. Let’s go back to the actual developing and programming. What does a web developer do? 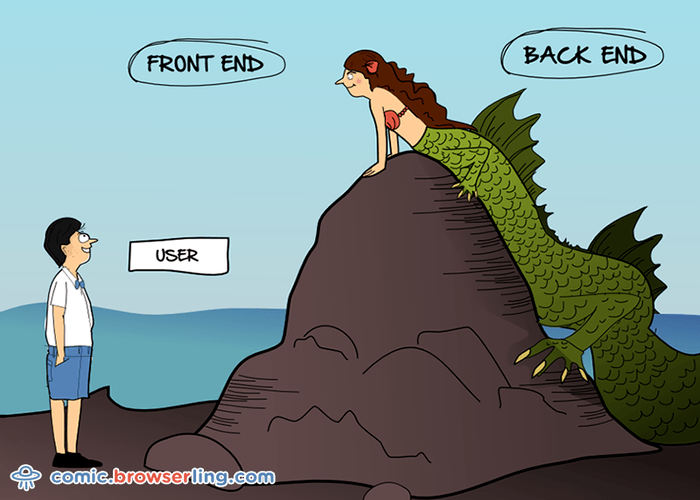 Well, depending on his/her knowledge, a web developer can be front-end or back-end-oriented. If you are not sure what we mean, let us explain. 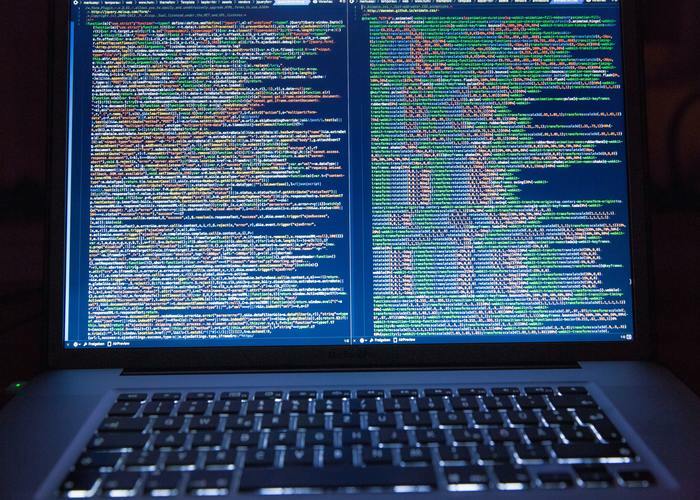 A back-end development includes complex, code-intensive work. When we previously mentioned that web developers bring apps from the ground up, this is what we were referring to. If you are still not getting the picture, let’s put it this way: a back-end web developer should know how to create a multiple users app like Airbnb or Amazon are. All the shopping carts or offers like booking a flight are done by back-end developers. On the other hand, there is a front-end web developer. Believe it or not, front-end is the reason why it is hard to tell a difference between developers and designers. But the truth is actually really simple. A job of a front-end developer is to translate the work of a designer into the code. He/she is not supposed to make any design changes but to provide functional connections between all design elements. Those are the main differences between a back-end and a front-end web developer. Now, you have probably heard of the term “full-stack developer”. This term is used to describe developers who have the knowledge of both back-end and front-end development. But, make no mistake一it doesn’t mean that you should always hire a full-stack web developer to cover all the job. Depending on the project, it’s nice to have full stack developers in a team, so some of them can work on the front-end and some on the back-end and each of them can jump in if the help is needed. The one characteristic that should always be used to describe web developers is analytical. 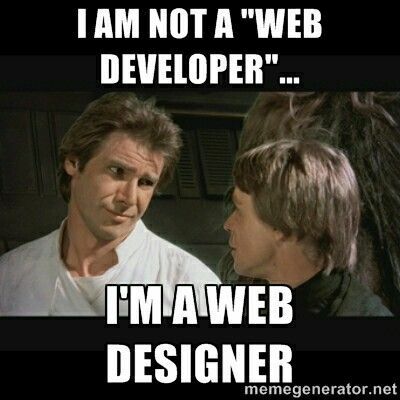 No matter if we are talking about a front-end web developer or a back-end one. As you will be able to see in the following text, a web designer is the one that relies on his/her creativity, while a developer is the one that is oriented to details and the development process itself. Back-end development technologies which include languages like PHP, Java, Ruby, Python and tools like MySQL and SQL Server. Before you start searching for a web developer, be sure to consult an expert on what type of a developer you need. Would you rather choose a Ruby developer or perhaps a PHP one? Also, please note that developers are not obligated to know each and every programming language that exists. Surprisingly enough, this is a good news for you because you can easily find a developer that suits the needs of your project. So, What Makes a Good Web Developer? 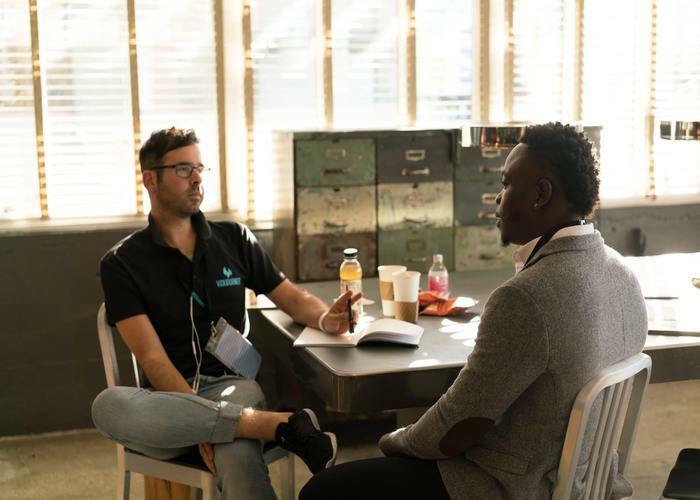 Let’s put it this way: a good software developer is the one that can write good-quality code fast, the one that learns quickly, is not afraid to face the challenge, is reliable and has good communication skills. With all this in mind, it wouldn’t hurt to have a team player by your side, as well. The point is that a web developer should not only be an expert in his/her field but also a good communicator and a problem solver. A web designer is, in short, the creative mind that stands behind a web app. What does a web designer do? A web designer should create a visual layout of a web app. You may wonder how can one person can that easily translate your idea of a brand into a web app design. Well, this is where your input should step in. In fact, before you start working with a web designer, you should make a web design briefーa list of all brand, tech and content requirements which will help a designer. The more detailed it is, the better. After you have talked to a designer, it is up to him/her to use the knowledge of graphic design and combine it with different types of software and prototyping tools, which will help him/her to create the first version of an app. 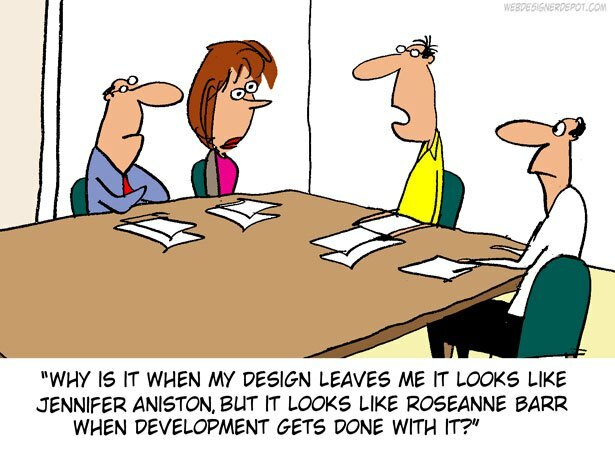 When it comes to working with a designer, the biggest challenge is to put your idea in his/her hands. Why is that? Well, because you, as the creator of the idea, already have in mind what the web app should look like. In most cases, that idea doesn’t align with the rules of web design, so it is necessary to make a few changes. Why are changes necessary? Because a good web designer knows about colors contrasts, shapes, textures, typography and more. You have to admit you are probably not the most competent person when it comes to these design elements. On the other hand, a good designer knows how to use all these elements and create a never-seen-before web app that target users are going to find useful and easy on the eyes. Our advice on this matter is: don’t overreact if there are more changes than you anticipated. If you chose a good designer then there is a nothing to be afraid ofーyou will be able to find common grounds with him/her and share your thoughts and fears. However, if you are not still not convinced that you should trust a web designer there are two aspects of design that only a designer knowsー user experience (UX) and user interface (UI) design. A user experience design is a process that includes improving a user’s ability to maneuver the product. It should provide a user with satisfaction and clarity. A user interface is a combination of content, forms and behavior. It pays attention to how the app looks than worrying about how the user interacts with the application. A good designer is the one that knows principles of UX and UI. Guided by those principles, he/she knows what your app needs to skyrocket on the market. If you thought that this is the end of designer’s knowledge you were wrong. A web designer should be familiar with design tools like Photoshop, Illustrator, Sketch and prototyping tools like Mockplus. Not only that, a designer should be familiar with HTML and CSS, just like a front-end web developer is. As we saidーa web developer and a web designer are two sides of the same coin. At first sight, it can be difficult to make a difference between a (front-end) web developer and a web designer. But, as you can see, there is one huge contrariety between these twoーa web developer provides functionality, while a designer uses imagination and creativity to make sure app users like the app and find it pain-free to use it. 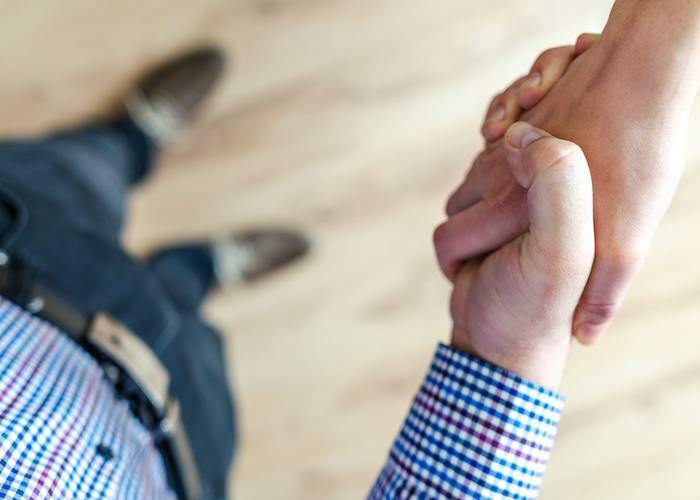 However, both of them have to work together in order to create a product that is going to present the company in the best way and have a value for a user. We hope that this article provided clarity and some useful insight on how both sides work. Is there anything we forgot to mention? Tell us in the comment section below!